Over 30 years supplying Sweepers, Floor Scrubbers and Cleaning Machines to Australia! 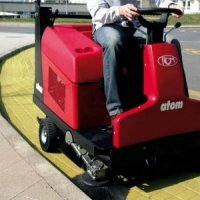 We provide a complete range of RCM sweepers from the smaller sized pedestrian vacuum sweepers through to mid range sweepers such as the Atom rider sweeper right up to the RCM Duemila Panzer with a cleaning width of 190cm. 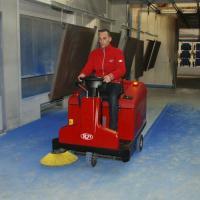 We also have a range of RCM scrubbers from the Bit pedestrian model through to the largest rider scrubber, the Tera. 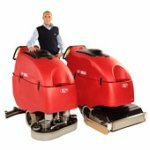 Sweepers Australia can also provide a comprehensive range of Nilfisk sweepers and floor scrubbers to suit customer`s individual needs. 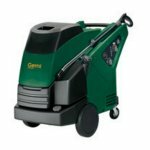 Walk-Behind Sweepers give a perfect result on all floor surfaces both inside & out. 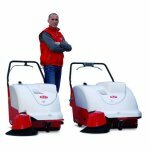 Ride-On Sweepers to sweep medium-big areas with front driving position. 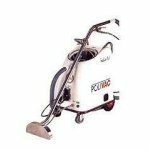 Walk-Behind Floor Scrubber Dryers simple to use, highly efficient & extremely durable. 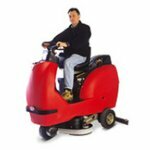 Ride-On Floor Scrubber Dryers are simple to use, highly efficient & extremely durable, for big areas. Pavement and Street Sweepers that are durable, reliable and designed to last. We are 100% Australian owned company, dedicated to providing sweeping and floor scrubbing machinery and equipment throughout Australia. Sales are backed up by our own comprehensive service and spares operation with experienced technical staff and fully equipped service vehicles enabling on-site repairs and service requirements to be achieved, minimising down time and enhancing productivity. We provide full after-sales service to support our products and reduce the costs to you.Full range of parts and service are provided in each capital city and many Victorian country areas and we offer both field and workshop facilities. 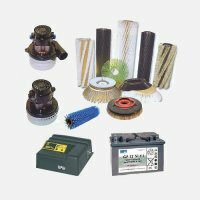 We offer a comprehensive range of parts and supplies including Replacement Brushes, Hoses, Panel Filters, Squeegees, Skirts & Seals, Detergents and Vacuum Fans to suit brands like RCM, Tennant, American Lincoln, Powerboss, Hako, Advance & Alto. 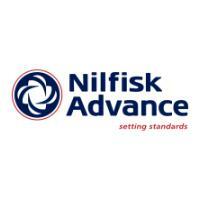 If your requirements are short term only, we have a variety of solutions available. The rental fleet contains small pedestrian sweepers and floor scrubbers ranging to medium and large ride-on sweepers and floor scrubbers. FREE operator training is provided with any new or used equipment purchase! However, if you have untrained staff, high equipment running costs, poor cleaning results or lack of in-house expertise, we also provide onsite training packages. *Email is required. *Email is not a valid. *Phone is required. *Phone is not a valid. *Postcode is required. *Postcode is not a valid.